An installfest is a fun and exciting event where expert volunteers and interested computer users get together to install Linux on their machines. Installing an operating system for the first time can be daunting, but with the help of OCLUG members, your questions on the operating system, included software, installation process, and more can be answered quickly and in person. During this installfest, we are featuring Ubuntu. 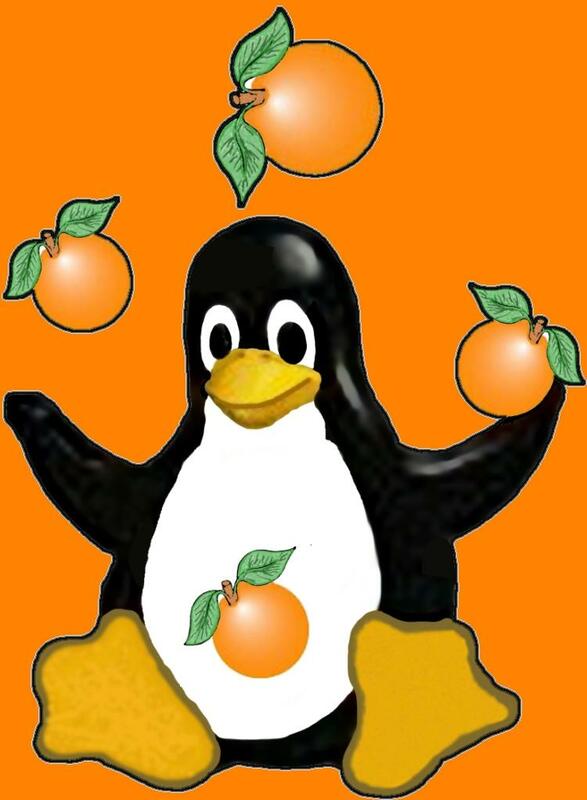 To use Ubuntu is to fall in love with it. The desktop environment is intuitive but powerful, so you can work quickly and accomplish all you can imagine. You’ll be captivated by its elegance. You can surf in safety with Ubuntu — confident that your files and data will stay protected — thanks to the built-in firewall and virus protection. And if a potential vulnerability appears, we provide automatic updates which you can install in a single click. Ubuntu loads quickly on any computer, but it’s super-fast on newer machines. With no unnecessary programs or trial software to slow things down, you can boot up and open a browser in seconds. 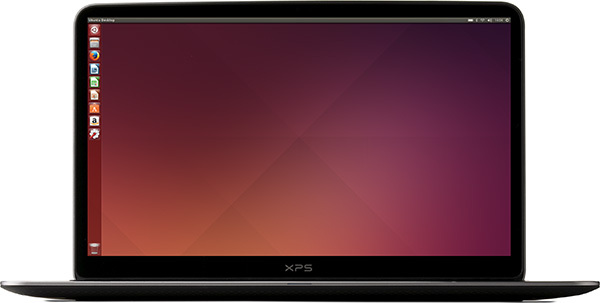 Ubuntu - A modern, powerful operating system for all your computing needs. Xubuntu - A more lightweight version of Ubuntu perfect for older computers running Windows XP. Exit on Nutwood Ave. Proceed west towards State College Blvd. Cal State Fullerton is on your right. Transfer to 91 East, continue until State College Blvd., exit. 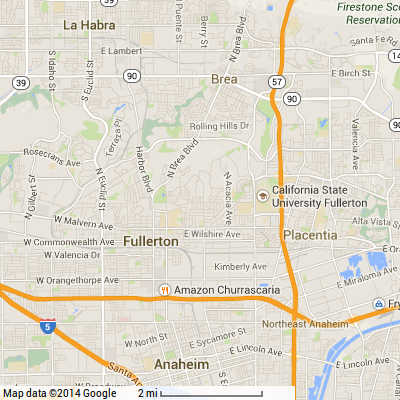 Head north on State College to Cal State Fullerton, which will be on your right. There is no parking fee on Saturdays. Park in the "C" or "D" lots. McCarthy Hall is East/Northeast of them. Lot "C" is accessed from Nutwood, use the last driveway just before State College. Lot "D" is accessed from State College. You can go here for a closeup map of the CSUF campus. McCarthy Hall is towards the bottom, marked "MH", with a bluish tint added over it and a line pointing to it from the legend. 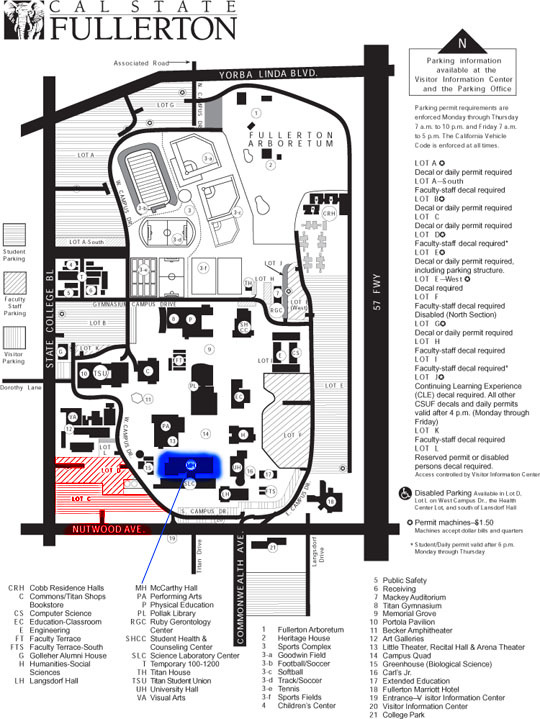 The best parking is in Lot C or Lot D, at the bottom left corner, with reddish tint over them, at the intersection of State College Blvd. & Nutwood Ave.
Bring everything your system will need to work. To install a new operating system, you will need to set up your computer on its own. A good way to check if you have everything you need is to move your computer to another room. Here is a list of necessary items to bring. Also some kind of luggage caddy / janitor cart, or similar device to hold all your gear will be helpful, along with bungee cords to secure your gear during transport. Our meeting room is Room 606 in McCarthy Hall which is on the 6th floor, so you will definitely want to make use of the elevator.